Cross passage with flagstone floor. 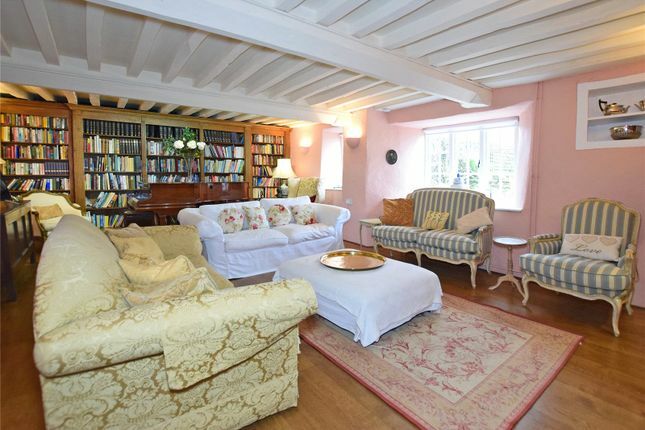 Sitting room with inglenook fireplace, wood burner and extensive shelving. 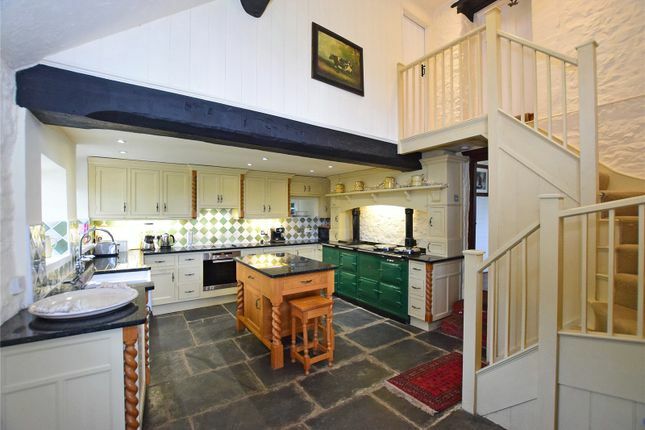 Well fitted semi galleried kitchen with a 4-oven Aga. 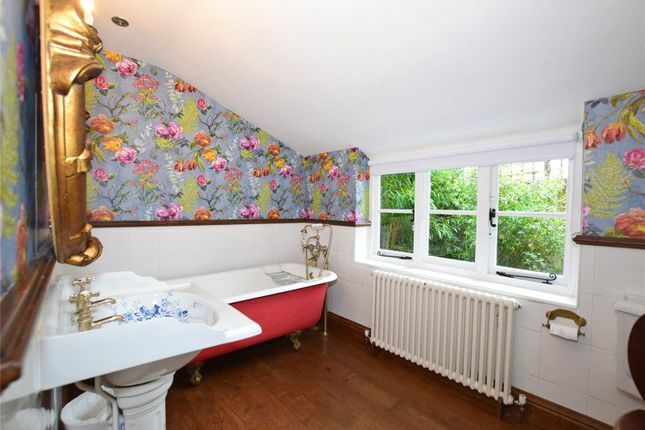 Four double bedrooms, two with en-suite shower rooms. 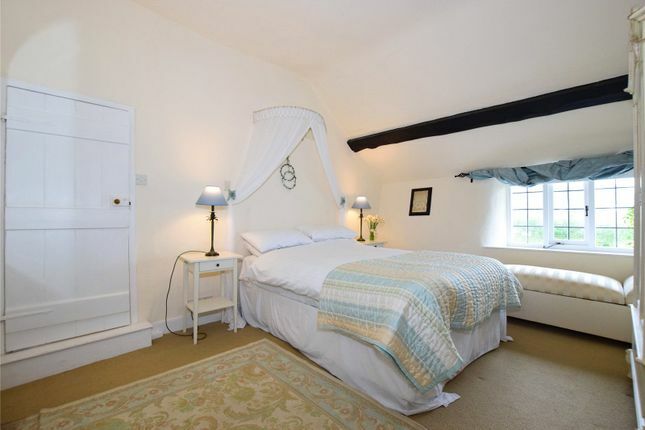 Detached holiday cottage comprising: Sitting room with bi-fold doors and wood burner, kitchen area and garden room, two bedrooms (double and single) and shower room. Beautifully planted gardens and natural area with pond. 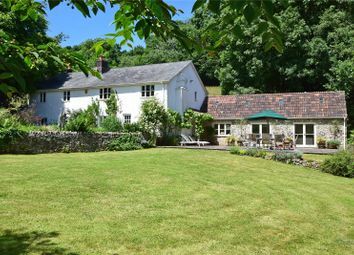 A stunning 16th century farmhouse of immense character with a detached two-bedroom holiday cottage, beautiful gardens of about an acre and country views. 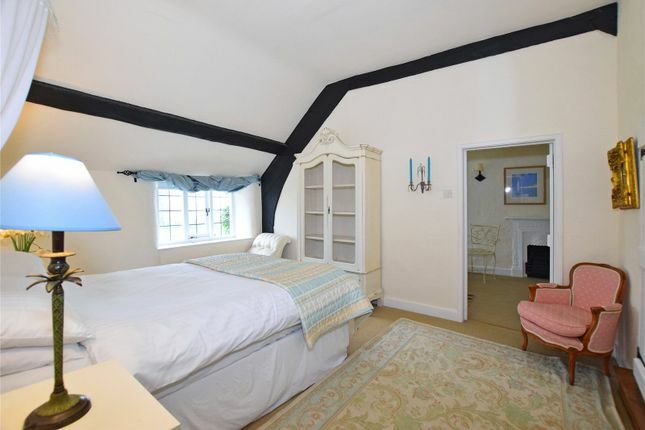 Bakers Cottage is a particularly attractive Grade II Listed residence which has origins dating back, we believe, to the 16th century. 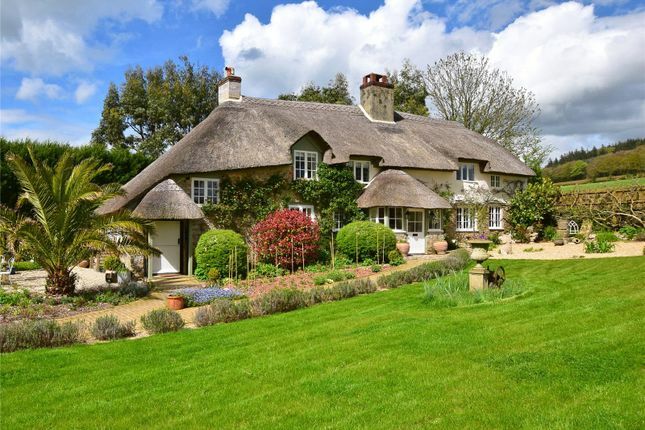 It is a beautiful example of a Devon Longhouse, being traditionally built with mellow flintstone elevations under a thatched roof and has a very handsome front façade which is adorned by a beautiful Rose and Wisteria, with its thatched porches and large, small-pane windows. 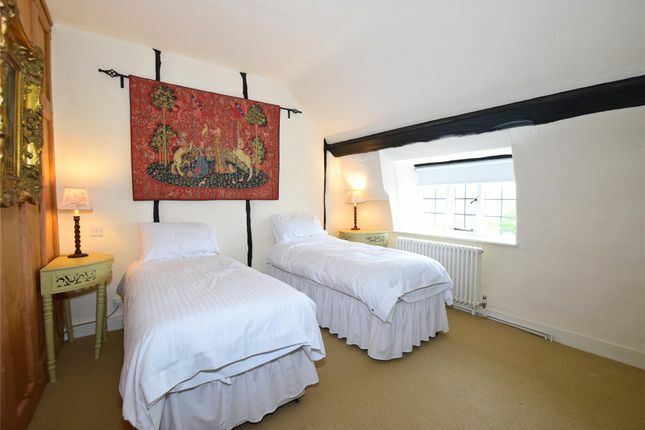 The accommodation retains a wealth of character features which include a beautiful cross passage with a flagstone floor and part of a plank and muntin screen, heavily beamed ceilings, inglenook fireplace and exposed cruck beams to the first floor. It has however, in recent years been the subject of a comprehensive programme of improvement with all the modern conveniences one would expect and is found in excellent decorative order. 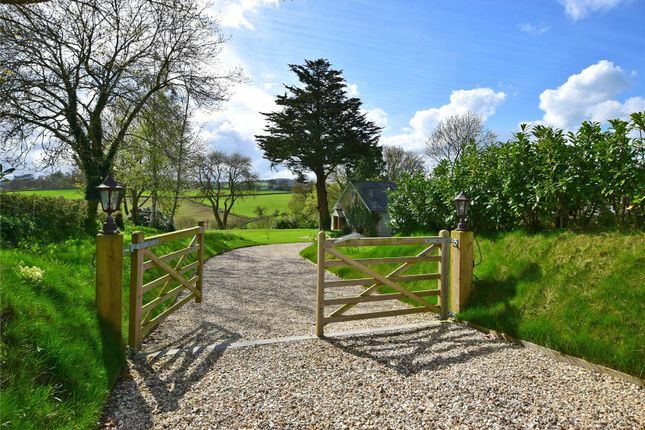 Within the grounds is 2 Bakers Cottage, which is a detached holiday cottage incorporating a garage. This has also been beautifully finished and comprises bi-fold doors opening into a sitting room with a log burner and a kitchen area, travertine steps lead down to a sun room with a delightful view. 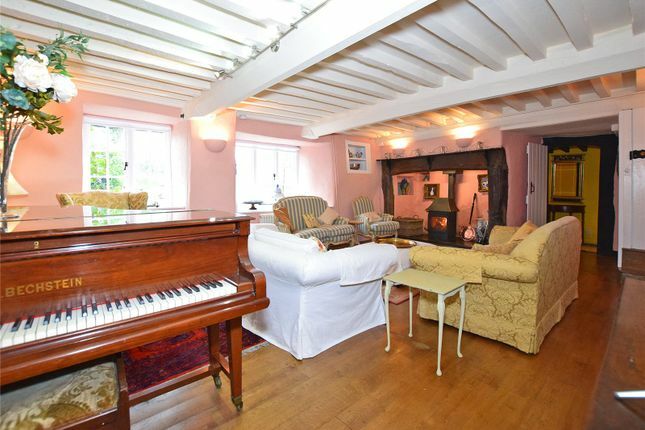 From the sitting room stairs rise to the first floor where there are two bedrooms (a double and a single) and a shower room. Behind the cottage is a timber utility/store. 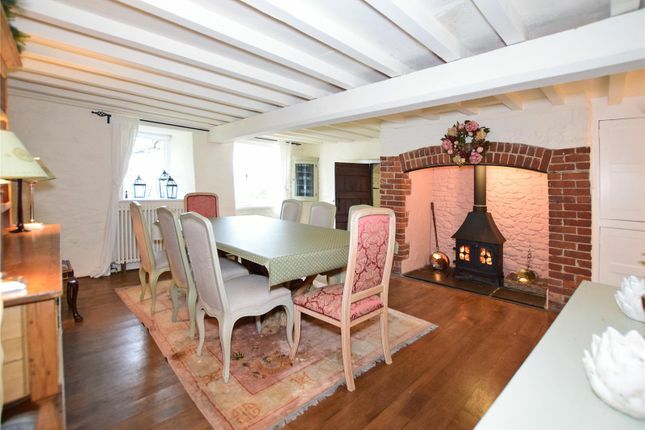 The property is approached from the road over a gravelled driveway which sweeps around the front of the cottage to a parking area and further brick paviered parking area. The gardens at Bakers Cottage are a true delight and create the most beautiful setting having recently been the subject of a comprehensive programme of landscaping and planting. 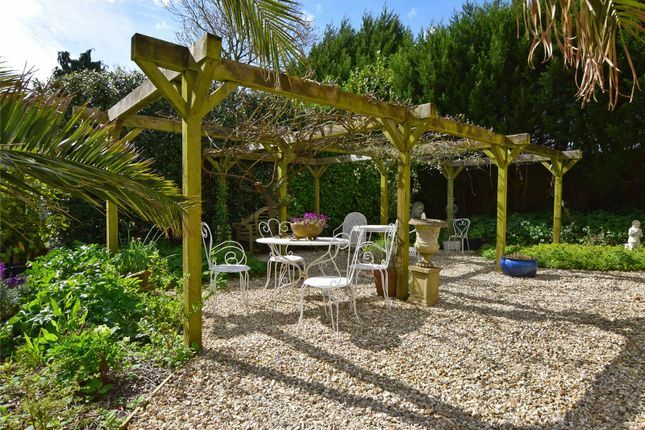 To the side of the cottage is a pergola which is clad with a vine whilst to the rear is an attached utility room. 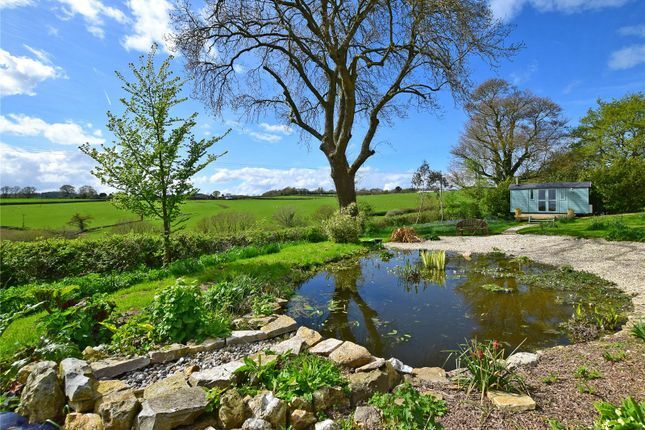 There are many borders containing a mass of colourful plants, shrubs and trees, as well as an area of lawn and further lawns descending to a more natural area of garden which is a haven for wildlife and has a pond and spectacular views over the valley. 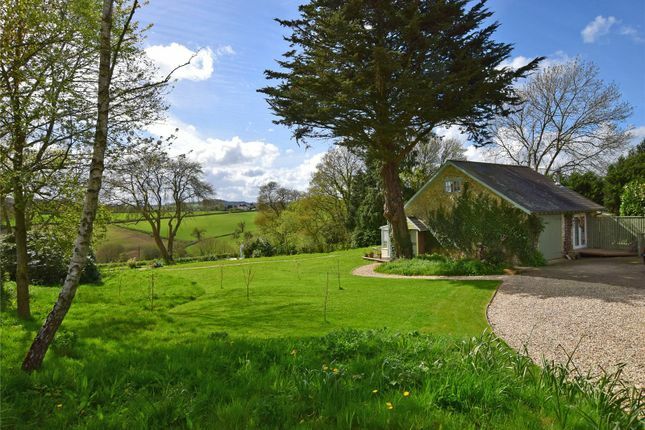 Bakers Cottage is situated in the small village of Shute, which in turn is located in an Area of Outstanding Natural Beauty amongst some of East Devon's most picturesque countryside. 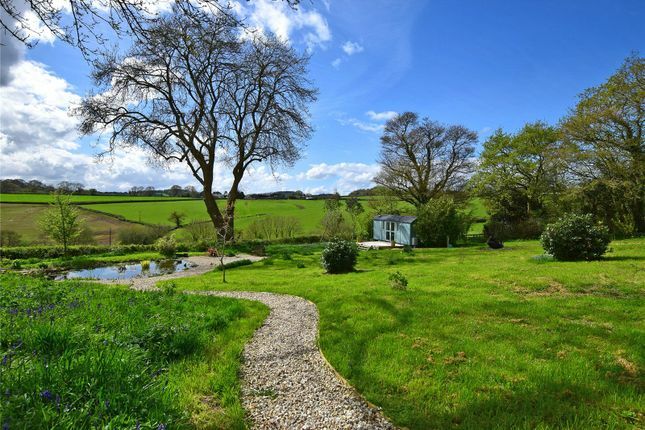 The grounds have splendid views to the West over the Umborne Valley to the hills in the distance and there are some beautiful walks close at hand over the patchwork fields and nearby woodland. Shute is a popular village and has a primary school, church and there is also a bus service connecting the nearby towns and villages. The popular town of Colyton lies about 2.5 miles away and has a strong community, good range of independent shops and also the renowned Colyton Grammar School, one of the country's top mixed state schools. 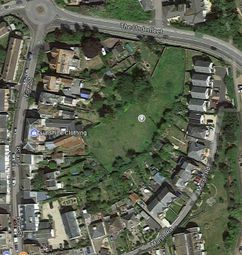 The market town of Axminster lies about 3 miles to the East and has a wide range of shopping and recreational facilities which include The Canteen deli and restaurant owned by Hugh Fearnley-Whittingstall as well as a main line rail link to London Waterloo. Exeter, the county town, is approximately 25 miles to the west and has an excellent shopping centre, sport and leisure facilities, university, main line express rail link to London Paddington and international airport. 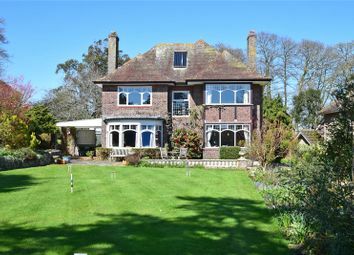 From Shute there is easy access to the M5, A303 and A35. 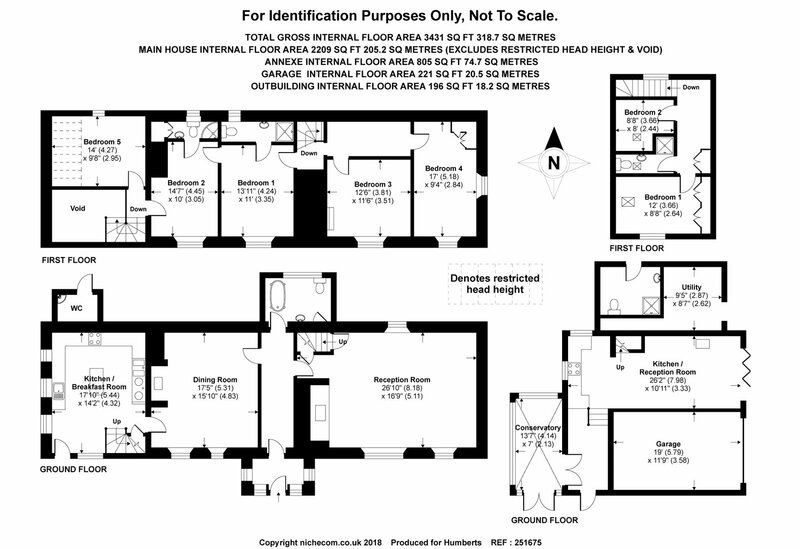 Property descriptions and related information displayed on this page are marketing materials provided by Humberts - Devon. Zoopla does not warrant or accept any responsibility for the accuracy or completeness of the property descriptions or related information provided here and they do not constitute property particulars. Please contact Humberts - Devon for full details and further information.